Shortlisted for the Bord Gáis Energy Irish Book Awards Eason Irish Novel of the Year Award for 2015. WINNER OF THE GOLDSMITHS PRIZE SHORTLISTED FOR THE IRISH BOOK AWARDS "John is so many miles from love now and home. This is the story of his strangest trip." 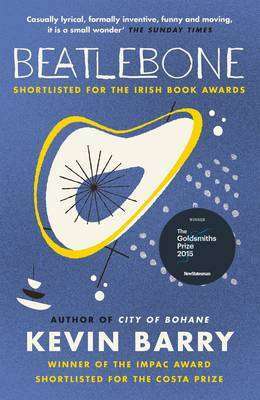 A novel of family, ghosts, love, music and the quest for truth, Beatlebone recounts a wild journey through the west of Ireland in 1978. At its helm is John, a maddened genius fleeing fame and seeking peace. With his deadpan Irish driver, Cornelius, at his side, John is hellbent on reaching the Island of Dorinish, an assignment he arranged ten years before. Lyrical, freewheeling, quixotic and fun, Bealtlebone is a sad and beautiful comedy.